Organisation covers 17 creative sectors and board members include the AA's Stephen Woodford and the BFI's Amanda Nevill. Publicis Groupe UK chief executive Annette King has been appointed to chair the Creative Industries Trade and Investment Board, an industry-led advisory board for the UK government. The board has a broad scope, covering 17 creative sectors including film, music, gaming, performing arts, fashion, design and technology, as well as advertising. It is charged with recommending long-term strategic decisions for the government’s trade and investment policy relating to these sectors. Other board members include Advertising Association chief executive Stephen Woodford, British Film Institute chief executive Amanda Nevill, The Publishers Association chief executive Stephen Lotinga and Jamal Edwards, founder of urban music platform SBTV. King said she was "honoured" to be asked to chair the CITIB and said: "Creativity is the UK’s calling card to the world, our reputation for ideas, flair, talent and imagination sitting alongside our rich cultural heritage and cutting-edge creative companies." King joined Publicis Groupe in May as its first-ever UK chief executive. 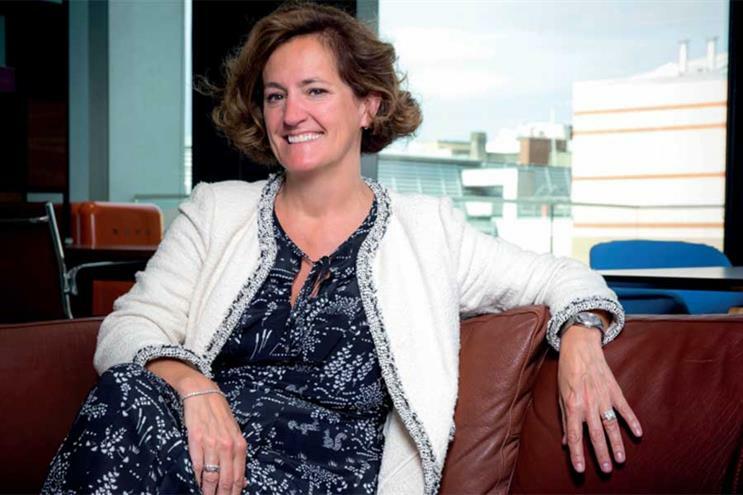 She was previously chief executive of Ogilvy & Mather UK, which has undergone a consolidation of all of its sub-brands under a single P&L, now simply called Ogilvy. King was succeeded by Michael Frolich.